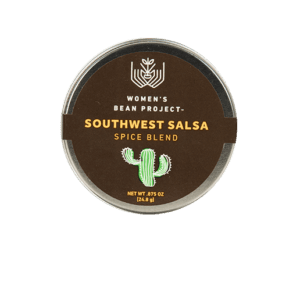 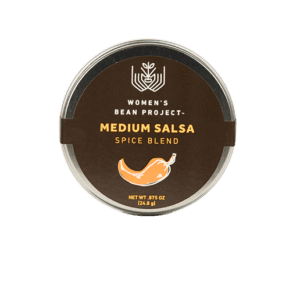 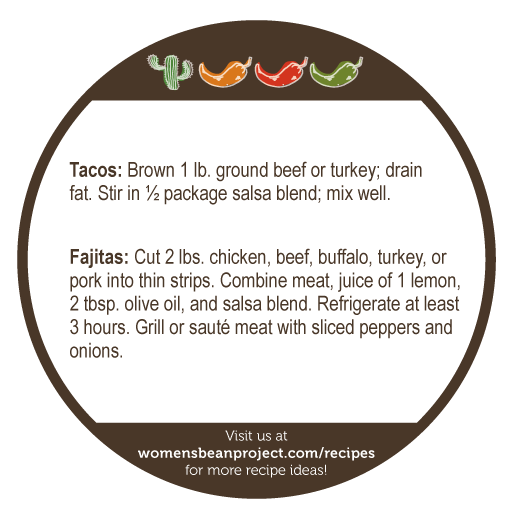 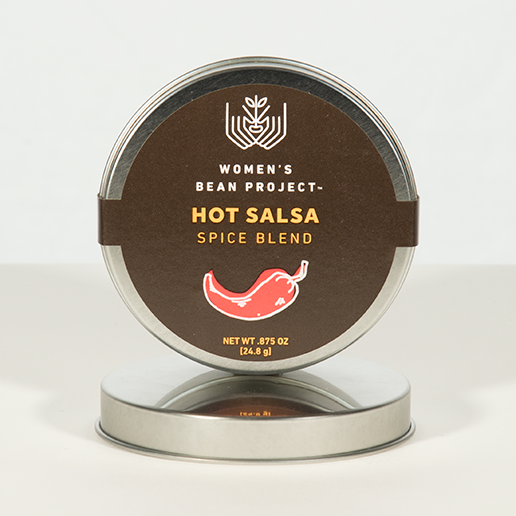 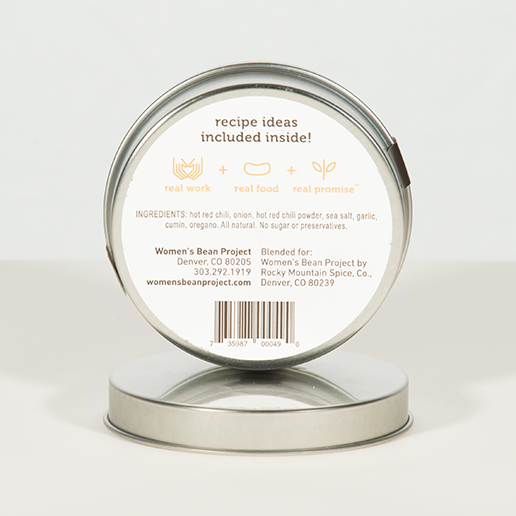 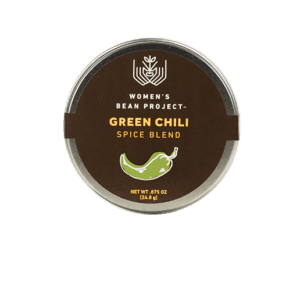 Women’s Bean Project’s hot salsa mix makes a flavorful salsa and so much more. 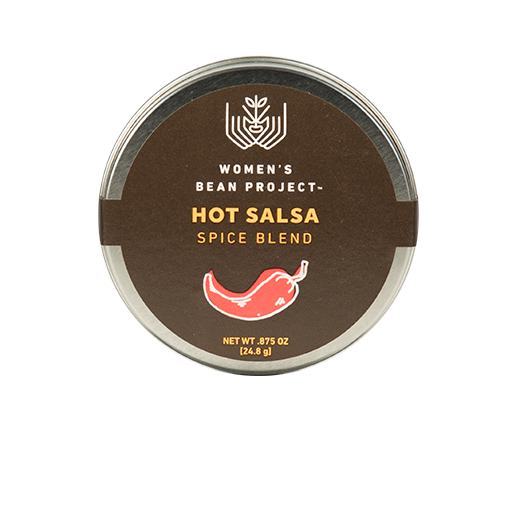 Use it for fajitas, salsa brisket, tacos or guacamole. 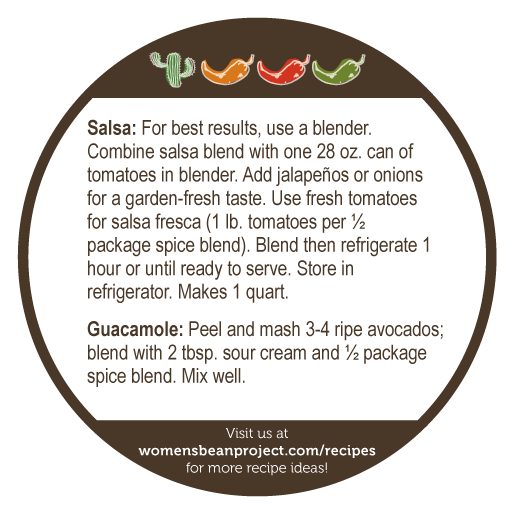 Easy to make, homemade salsa mix comes packaged in a reusable tin for storage.